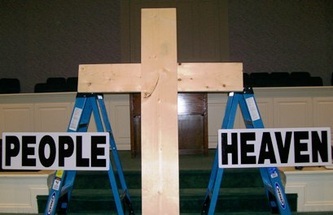 Giant Float R's, a Balancing Act, Balloon Bible Stories, Comedy, & more! Juggling with Balls, Clubs, Rings, Basketballs, Giant Float R's, a Balancing Act, & more! Chris Fowler was born in 1984 and has been juggling since the age of 12. Prayer, patience, dedication, and hard work were all lessons Chris applied to become one of the greatest jugglers in the world. 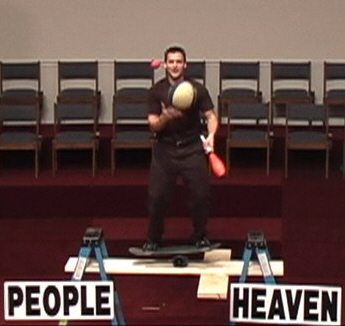 Chris is a Born-Again Christian and Professional Entertainer! 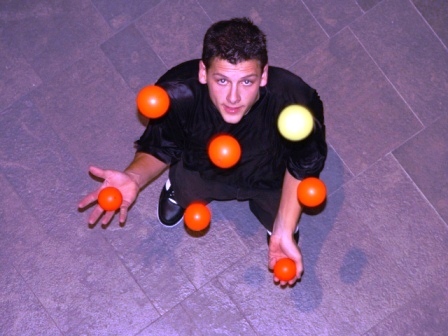 Chris is a co-world record holder in Juggling, and placed as the #1 U.S. Juggler in a worldwide Juggling competition on ESPN sports. His show catches and holds the attention of all ages. The message is strong and unforgettable. Chris is very thankful to be able to use his talents for God's glory. If you are looking for an Upward Awards Night Magician, Upward Juggler, Upward Magic & Juggling Show, Upward Speaker - we thank you for considering Chris "JuggleBoy" Fowler to perform and give his message at your event! Chris would love to be the Upward Awards Night speaker for your event! 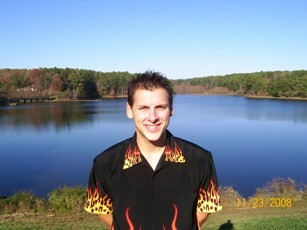 Chris “JuggleBoy” Fowler has performed at many Upward Events as an Upward Magician or Upward Juggler with his Gospel Show. Chris has also performed at many Churches, and other Faith-Based Events across the country. 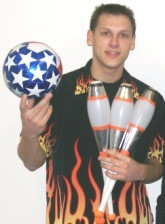 Chris is a co-World Record holder in juggling and was on ESPN sports where he placed as the #1 U.S. Juggler. Chris also starred in a commercial in South Carolina. He presents the Gospel of Jesus clearly, effectively, and in a most memorable way – all throughout his show. Includes World-Class Juggling (as seen on ESPN & co-world record holder), Comedy, Balancing Act, - ALL with a life-changing Gospel Message!! • What can your Church or Faith-Based Event expect? Everyone will see a Clean Family Show - with exciting Juggling, comedy, and juggling analogies that will present the Gospel of Jesus clearly, effectively, and in a most memorable way – all throughout the show. There will be lots of Fun for all ages! • How long is the presentation? Chris will work with your schedule, but the most effective show lasts about 30 minutes. • What will you need to provide Chris? MICROPHONES - if possible, Chris needs a wireless Lapel microphone hooked into your sound system. He also needs one hand held microphone and a connection from his IPOD into the house sound system. • How much does the show cost? Cost varies based on distance, travel, crowd size, etc. – Please fill in the form below and we will quote you a price. We will try to work within your budget the best that we can. • Will an Altar Call be given? Chris is sensitive to what you want for your event, but if possible prefers being able to give an altar call. Many people will respond favorably to the message when they are given a chance right after the grand finale. Please let us know if you would like Chris to do an alter call or not. • Is Chris available for Sunday Church services? Absolutely! The show and message works great for a Sunday Morning Crowd. It is especially good for a Sunday-Morning Church "Family Day". Chris makes it entertaining, fun and enjoyable for all ages in the crowd * The Show & Message will be inspirational – with a heart for evangelism, discipleship, and the strengthening of your church. • How would you like me to INTRODUCE the show to the audience? Chris has a professional pre-recorded introduction that he will play when it's time for his show. • What are your Beliefs? "Your presentation at Pleasant Grove Baptist Church’s Fall Festival was wonderful. 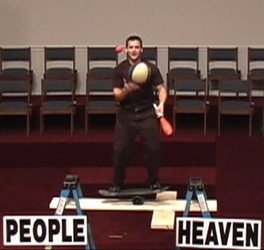 Not only entertaining, but the clear message of Christ hit the ball out of the park. Thank you for using your gifts and talents to glorify the Father. Have a blessed day." excitement, and humor. Praise the Lord! "Incredible show and life changing message"